We can create up to 3 sleeping spaces in many cabins. In terms of comfort, safety and appearance, these meet all your expectations of a ex-factory bed. 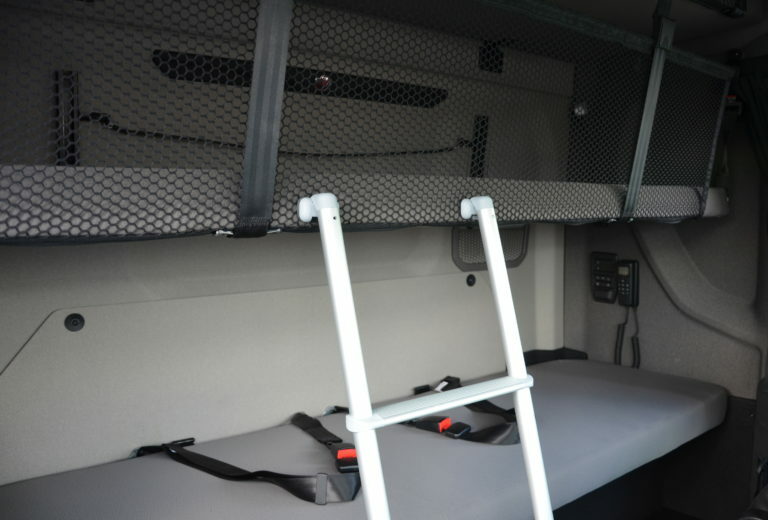 Mounting a second or third bed into the cabin is no problem at all. We have developed solutions for a range of cabins, allowing several persons to sleep in the cabin. Often, the two original beds are used, while we affix a third bed in the cabin. Combined with extra seatbelts, this bed can also serve as a backrest. Each extra bed offers sufficient individual sleeping space, so that the occupants are sure of the privacy and rest they need. The extra beds are covered with the original or matching upholstery material so that the whole cabin has a tidy and sleek appearance.